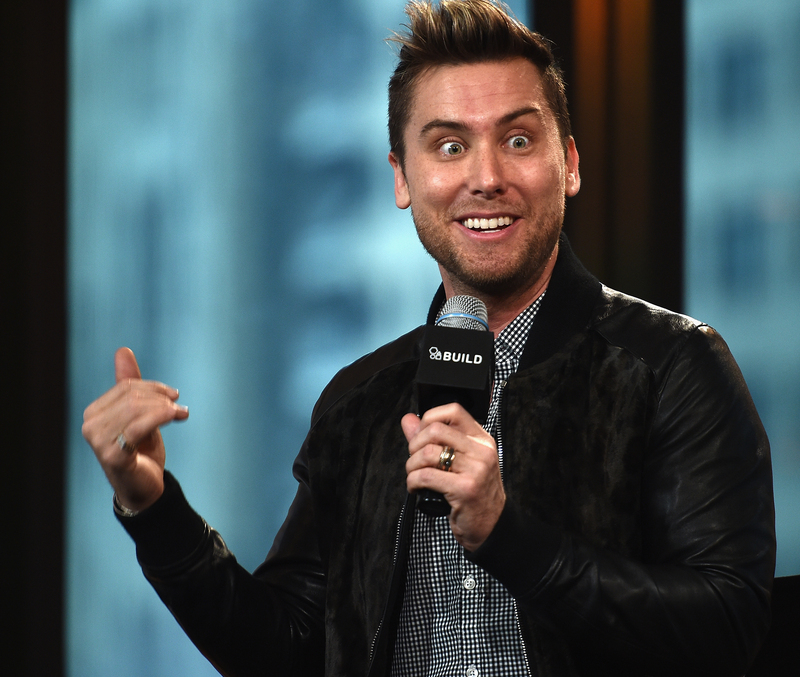 Lance Bass has found his prince charming, but that won't stop him from helping other men who are on the hunt for their own. On Tuesday, Logo announced that former *NSYNC member Bass will be hosting a new dating series on the network, Finding Prince Charming — and, even better, it will also be TV's first gay reality dating show. The show, premiering this fall, will have 13 romantic hopefuls shacked up in one house as they compete for "the heart of a hunky Romeo." Rawr. Bass will help the contestants get it together and win Prince Charming's affection in what I assume will be a Bachelor-style sitch. Logo promises the series will showcase modern love and continue the brand's reputation for strongly representing the LGBTQ community — I have no doubt it'll be super entertaining. I mean, you already have Lance Bass signed up! Which reminds me... how did we not see this coming? The 37-year-old has come a long way since his boy band days, but the past is. Always. There. While Bass and his fellow four dream boats sang their way into our middle school hearts and made the '90s the epic era that it was, we forget that he was also singing in hope of one thing: Love. These throwback *NSYNC songs were ahead of their time by accurately predicting that member Lance Bass would one day take reality TV (and dating) by the balls. To the dude who gets eliminated after round 1: This is for you. 2. "It's Gonna Be Me"
The anthem every contestant will sing to themselves as a pump-up to ensure they will crush it on their date. 3. "That's When I'll Stop Loving You"
For contestants, that day is approximately 24 hours after they're eliminated. 4. "Tearin' Up My Heart"
That conflicted feelings the men will feel when they're bonding but also missing their bae. Ugh. 5. "I Want You Back"
When host Bass will console guys who got the axe and then start crying over a perfect stranger. ~Emotion~. 7. "I Drive Myself Crazy"
When the fun and games of group bonding are over, and contestants are alone at night in their beds, dreaming of Charming. For that one contestant who cuts the BS and claims they "didn't join to make friends." They know what's up. Bass can sing this upbeat song equivalent of a happy pill to every Charming reject, and I guarantee they will go home skipping. 10. "Up Against the Wall"
When Charming is a true player because every lead on these types of show is bound to be eventually. 12. "See Right Through You"
If the runner-up doesn't emotionally sing this in Charming's face with Bass by his side the night he gets cut, this whole thing is rigged. 13. "The Game Is Over"
A jam that spiteful and denied contestants will need if they really got into the game, and they got into it hard. (See lyrics: "You act like everyone revolves around you/Baby you dropped the ball/And now the game is through") Rough. When those Logo checks come in, Bass will be paid AF.